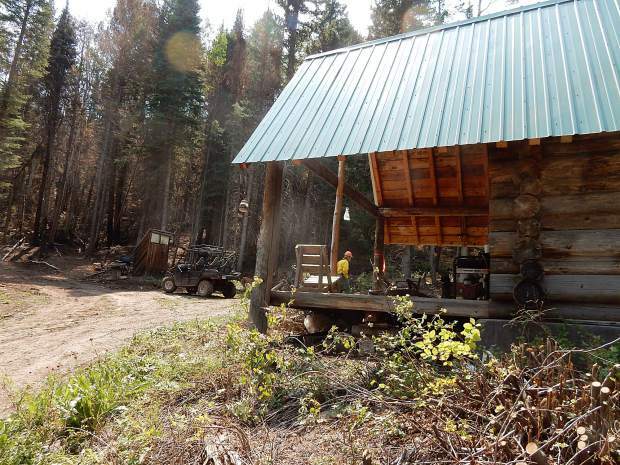 The Lake Christine Fire came perilously close to this cabin in the Upper Cattle Creek drainage. This view from Wednesday shows the singed trees behind on the outhouse on the left. The number of firefighters battling the Lake Christine Fire decreased to 33 from 56 Wednesday as two hand crews reached the maximum number of shifts allowed and were released for a mandatory break. The Black Tooth Wildland Fire Module crews headed to their home base of Buffalo, Wyoming, early in the afternoon. 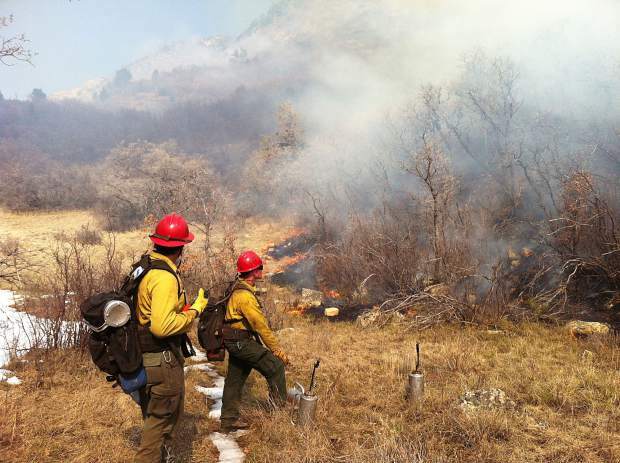 They have been in the thick of the firefighting effort since arriving in late July. They will get off a minimum of two days. 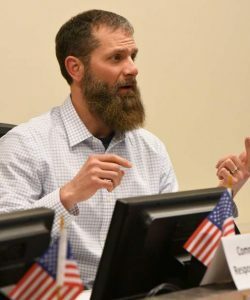 Jason Rodriguez, a supervisor with the Black Tooth team and a Type 3 incident commander trainee, said he will request a third day off since the teams worked in such rugged and thickly vegetated terrain. That takes a physical toll, he said. However, with so many fires burning in the West he was uncertain they will get an extra day off. Meanwhile, the need for resources for the Lake Christine Fire continues to drop. The fire, which started July 3 at the Basalt firing range, remains at 12,588 acres and is stuck at 90 percent containment, but officials with the incident management team also described it as “waning.” Management was transferred this week from a type 3 to a type 4 team based out of the Upper Colorado River Interagency Fire Management Unit. The remaining crews are patrolling for hot spots in the north and east perimeters of the fire. Some of the snags have fallen across the fire line, causing flare-ups that require attention from firefighters. A helicopter continues to hunt the perimeter for hot spots. As the firefighting effort winds down, the rehabilitation duties crank up. The current focus is on restoring 11 miles of fire line cut by bulldozers. A resource advisor team is supervising the restoration effort. A total of 41 miles of primary, secondary and contingency fire line was needed to contain the fire since it broke out July 3.